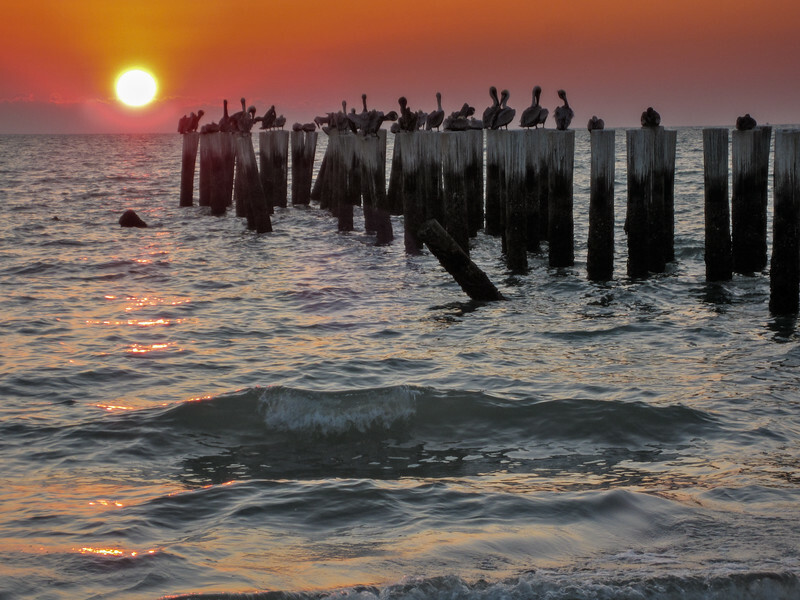 After a day at the beach, legend has it the Brown Pelicans gather to watch sunset. The locals (or imported snowbirds) do it too before heading to 5th Avenue for dinner. Of course I did not have my "good" camera but instead used a point and shoot (you'll find "Powershot Elph" in the info/metadata -haha). As I walked the beach I passed several photographers working it like I normally would (with with tripods, ND graduated filters and such). It felt good to just hold a camera in my palm, take 5-6 shots, and enjoy a sunset before heading to 5th street. 1. The best camera is the one you have in your hand.